1.1 The following translation and general terms and conditions apply to all agreements between Karen Rückert Legal Translations and her customers, where these customers are entrepreneurs or legal persons under public law. 1.2. Deviating or supplementary general terms and conditions of the customer shall only become part of the agreement once Karen Rückert Legal Translations has expressly acknowledged them. 1.3. All agreements shall be in German. German law applies exclusively. The German version of these general terms and conditions is binding. The English version is for information purposes only. 2.1. Karen Rückert Legal Translations shall make the customer an offer for the translation or service requested on receipt of an oral, written or e-mail request to this effect. A binding agreement is first subject to the purchase order being sent by the customer by e-mail, fax or in the form of a signed purchase order. The agreement takes effect once Karen Rückert Legal Translations has confirmed the content of the purchase order in writing, in text format or by providing the service. 2.2. The offers made by Karen Rückert Legal Translations are subject to change and non-binding. The prices quoted in each individual offer are valid. The respective valid value added tax is payable in addition to the net prices quoted in the offers. 3.1. Karen Rückert Legal Translations undertakes to translate the text provided by the customer into the agreed target language in such a way that it does not contain any defects. Karen Rückert Legal Translations shall ensure that the text is translated in such a way that it is neither reduced nor supplemented and that no changes are made to its content. However, Karen Rückert Legal Translations does reserve the right to insert comments, footnotes, etc. into the text in the target language for the purpose of text comprehension and/or to correct obvious errors; Karen Rückert Legal Translations shall point out such corrections to the customer. 3.2. Unless otherwise agreed, the service to be provided by Karen Rückert Legal Translations shall consist exclusively in translating the text provided by the customer into the target language. Proofreading, subsequent formatting of the text, copy-editing, adding images and pictures as well as setting up texts, creating digital artwork or HTML/XML documents, shall be charged on the basis of the time spent unless otherwise agreed by the parties. In terms of the use of language, spelling and grammar, texts shall be translated in accordance with the generally accepted rules of the agreed target language. Specialist terminology and specialist vocabulary shall be translated on the basis of the most common and usual meanings. If the customer would like specific terminology or a specific form or terminology or a form which differs from the generally accepted terminology or form to be used, this must only be used if this has been expressly agreed. In such cases the customer shall provide instructions (sample texts, parallel texts, glossaries and similar). 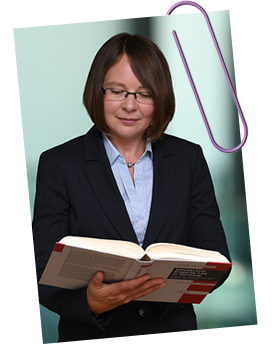 On request by Karen Rückert Legal Translations the customer shall provide specialist consultation. 4.1. When requesting a quote, the customer shall inform Karen Rückert Legal Translations about the way in which it would like the text to be translated (purpose, delivery on data carriers, file format, where appropriate the number of copies, print-ready, external form of the translation, etc.). As a rule the customer shall provide Karen Rückert Legal Translations with the texts to be translated in electronic format. The source material must be legible and transmitted to Karen Rückert Legal Translations at the time and in the form specified by Karen Rückert Legal Translations. Amendments and additions to the source material shall, as a matter of principle, be transmitted to Karen Rückert Legal Translations after agreement with Karen Rückert Legal Translations. The amendments as against the original version shall be marked. 4.2. The customer shall provide Karen Rückert Legal Translations with the information and documents necessary to translate the text when the assignment is granted (customer's specialist terminology, pictures, drawings, tables, abbreviations, internal terms, etc.). 4.3. The customer warrants that translating the source text as well as publishing, distributing, selling and any other use of the translation to be provided does not breach rights of third parties and that it is has unrestricted authorisation to have the text translated. The customer shall indemnify Karen Rückert Legal Translations against all related claims by third parties. 5.1. Once the service has been completed, the text or the agreed service shall be provided to the customer in the requested form in writing or in text format. If the customer does not raise any objections within 14 days from receipt of the translation or the agreed service, the translation or the agreed service shall be deemed to have been contractually accepted. 5.2. Apparent defects shall be notified without delay and within 14 days at the latest. 5.3. The customer shall notify Karen Rückert Legal Translations of an apparent defect in writing or in text form within the 14-day period and ask Karen Rückert Legal Translations to remedy the defect concerned within a reasonable period. Should subsequent improvement fail, the customer shall grant Karen Rückert Legal Translations a second opportunity to remedy the defect. If this is also unsuccessful, the customer is entitled to request that the agreement be reversed or that the agreed fee be reduced. 5.4. Concealed defects shall be notified to Karen Rückert Legal Translations within a period of 14 days after discovery of the defect. In all other respects section 5.3 of these general terms and conditions applies. 5.5. The warranty period is 12 months from acceptance. This shall not apply where Karen Rückert Legal Translations' liability is mandatory under the statutory provisions as set out under section 6. In such cases, the statutory provisions apply. 6.1. Karen Rückert Legal Translations' liability is subject to the statutory provisions in cases of intent or gross negligence. Liability for warranties is regardless of fault. 6.2. 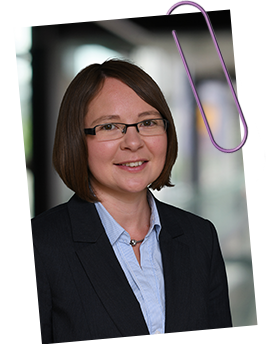 For simple negligence Karen Rückert Legal Translations shall only be liable under the provisions of the Product Liability Act (Produkthaftungsgesetz) for injury to life, body or health or for the breach of essential contractual duties. An essential contractual duty is one which must be met in order for the contract to be properly performed at all and on the performance of which the contractual partner is regularly entitled to rely. However, compensation claims for slightly negligent breaches of essential contractual duties are limited to the foreseeable damage, typical for the type of agreement, unless there is liability for injury to life, body or health. Foreseeable damage, typical for the type of agreement, is damage which falls under the respective contractual or statutory provision infringed. Karen Rückert Legal Translations shall be liable to the same extent for the fault of vicarious agents and representatives. 6.3. The provisions of the above subsection also apply to compensation in addition to the service, compensation in place of the service and reimbursement claims owing to futile expenditure, irrespective of the legal ground, including liability for defects, default and impossibility. 6.4. No reversal of the burden of proof to the disadvantage of the customer is associated with the above provisions. 7.1. Unless Karen Rückert Legal Translations has expressly specified that a delivery date is binding, it shall not constitute a binding or guaranteed delivery date. 7.2. If Karen Rückert Legal Translations negligently defaults on the agreed service and if the customer makes it credible that it suffered damage as a result of the default, the customer can claim liquidated damages (pauschalierter Schadenersatz). The liquidated damages shall be 1 % of the agreed fee for each full day of the delay up to a total maximum of 50 % of the agreed fee. The customer's right to rescind the agreement remains unaffected. 7.3. No reversal of the burden of proof to the disadvantage of the customer is associated with the above provisions. 8.1. If through the service provided by Karen Rückert Legal Translations entire works or parts of works, within the meaning of copyright law, are created, the customer is entitled to use and commercialise the works in consideration of the service provided to it for the contractually-agreed purpose. This right is not restricted in terms of territory, content or time. Within the framework of the contractually-agreed purpose, the customer is entitled to edit and change the service and to transfer it to third parties. Use of the service provided by Karen Rückert Legal Translations' for a purpose other than the contractually-agreed purpose is subject to the express consent of Karen Rückert Legal Translations. 8.2. Subection 8.1 sentences 1 and 2 of these general terms and conditions does not apply to certified translations. A certified translation is a translation which a court-appointed translator certifies is a complete and accurate translation of the original. Translations of official documents (e.g. commercial register extracts, deeds or references) must usually be certified. The customer may not edit or change a certified translation. 8.3. If Karen Rückert Legal Translations creates a specific terminology database or a translation memory ("TM") during the activity for a customer or if Karen Rückert Legal Translations adds to existing databases, in derogation from subsection 8.1 Karen Rückert Legal Translations shall be exclusively entitled to the copyrights and utilisation rights in the database. This does not apply where the parties have expressly agreed otherwise. 9.1. Karen Rückert Legal Translations shall treat the assignments and the information received with the assignments strictly confidentially even after completion of the respective assignment. 9.2. Karen Rückert Legal Translations shall offer to enter into separate confidentiality or non-disclosure agreements with customers. 10.1. Unless the parties have expressly agreed otherwise, Karen Rückert Legal Translations shall invoice the customer for the agreed service directly after transmitting the translation or the service agreed in accordance with section 3. The invoice shall be due for payment immediately. 10.2. Where the order volume exceeds € 1,500, 30 % of the agreed fee shall be due for payment when the contract is awarded. Subsection 10.1 of these general terms and conditions applies to payment of the remaining amount. 10.3. The rights associated with the translation or the service shall remain exclusively with Karen Rückert Legal Translations until full payment of the remuneration. title, first name, surname, a valid e-mail address, address, telephone number (landline and/or mobile number), further information necessary for the purpose of processing any claims to performance or warranty claims as well as enforcing any claims against the customer. The data is collected for the purpose of identifying the customer as a customer, performing the service commissioned properly and promptly, invoicing and for the purpose of processing and enforcing reciprocal claims. The data processing is performed at the request of the customer and is necessary within the meaning of point (b) of the first sentence of Article 6(1) GDPR. 11.3 The personal data collected by Karen Rückert Legal Translations for the purpose of processing the order will be saved until expiry of the statutory retention obligation and will then be routinely deleted unless they are still required for the purpose of performing the contract or for contractual negotiations and/or Karen Rückert Legal Translations has a legitimate interest in continuing to store them. Should erasure be necessary following the exercising of intervention rights, the data concerned will be erased without delay. 11.4 Personal data of the customer will be passed on to third parties where this is necessary on the basis of point (b) of the first sentence of Art. 6(1) GDPR for the purpose of processing the order. This especially includes passing personal data on to subcontractors of Karen Rückert Legal Translations or to the postal service commissioned to deliver the translation. The data passed on may only be used by the third party for the purposes mentioned. In all other respects, personal data shall only be passed on to third parties with the customer's consent. on the basis of Art. 77 GDPR to lodge a complaint with a supervisory authority. As a rule the customer can contact the supervisory authority of its usual place of residence, place of work or the place where Karen Rückert Legal Translations is established. 11.6 Where personal data of the customer are processed on the basis of legitimate interests in accordance with point (f) of the first sentence of Art. 6(1) GDPR, it has the right, in accordance with Art. 21 GDPR, to objet, on grounds relating to its particular situation, to the processing of its personal data. 11.7 If the customer wishes to exercise its objection right, it is sufficient to send an e-mail to: kr@juristische-uebersetzungen-rueckert.de. 11.8 Karen Rückert Legal Translations has set up technical and organisational security measures to protect data, especially from loss, manipulation or unauthorised access. 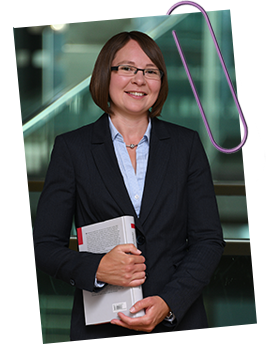 Karen Rückert Legal Translations regularly adjusts the security measures in line with continuing technical developments. The text of the above General Terms and Conditions has been produced by Rechtsanwalt (lawyer) Hermann J. Bauch, Paul-Finger-Str. 12, 50858 Cologne, where it is not a literal or equivalent rendering of the statutory requirements. The content is subject to German copyright law. Reproduction, processing, dissemination and any kind of use outside of the limits of copyright law shall require the written consent of the law firm Rechtsanwaltskanzlei Hermann J. Bauch.